Ugh…I wrote this post out once already and it looks like only the pics saved and not the post. I hate when the technology gods eat my post. So here it goes, attempt #2. It was a busy Labor Day weekend for us. The weekend included a long run of 21 miles with Rob. We did an out and back from our house, meaning we ran through town on our trail until we hit 10.5 miles and then turned around for home. Time flew by as we chatted about running, cycling, travel, airplane and house projects. 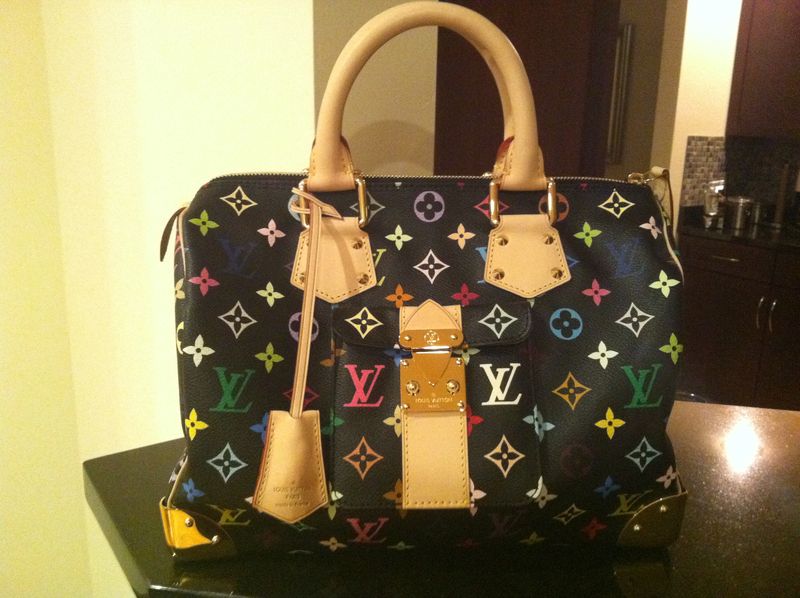 Before we got to our chores we did squeeze in some fun shopping which included this sweet Louis Vuitton. I felt like pretty woman as they served us champaign and personalized my purchase. Definitely a fun little Saturday! 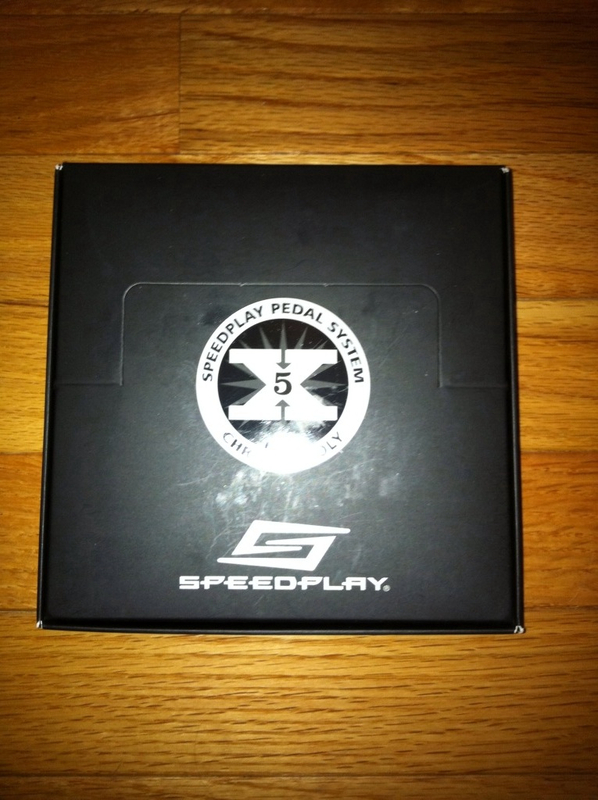 Sunday we got our new pedals installed. 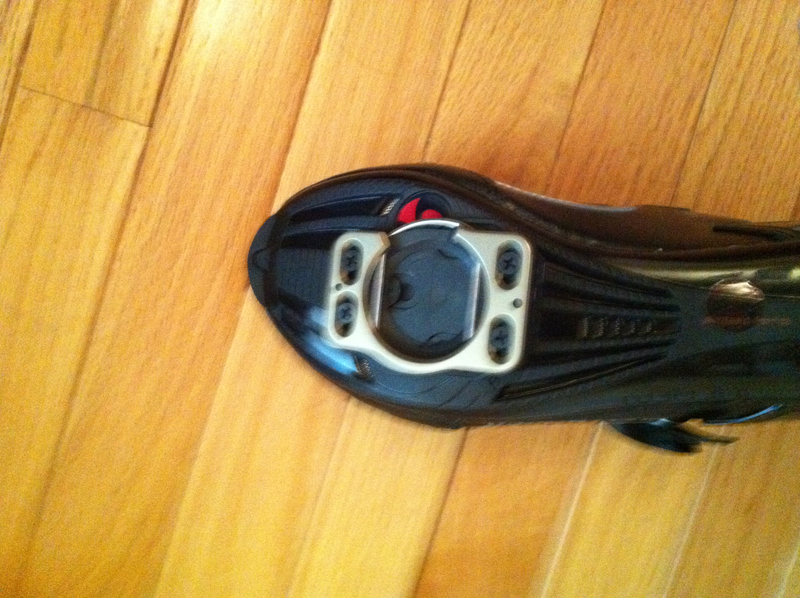 A blurry picture of the cleat. Speed Plays are very easy to clip in and out of it seems. I dunno, I have no other comparison. I had one foot on the curb in front of our house and practiced getting the feel. 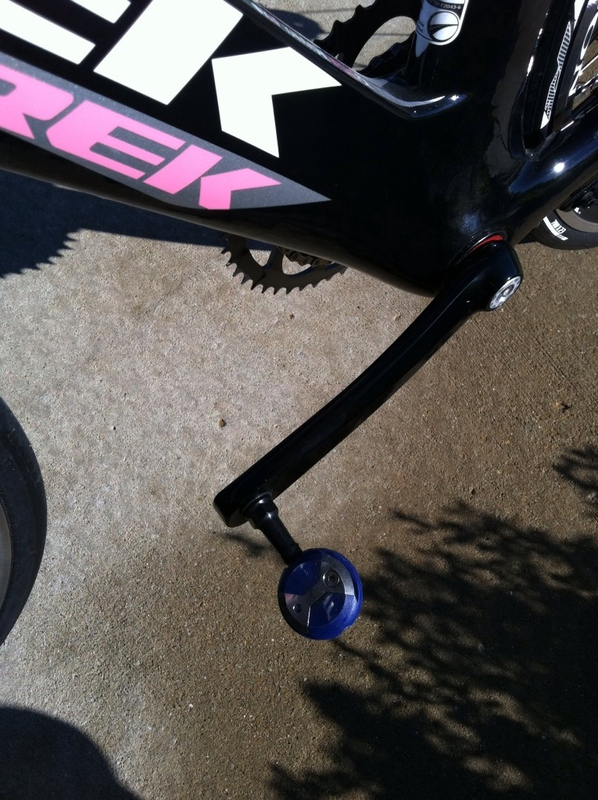 Then Rob and I went for a mini-ride and practiced slowing down and clipping in and out. So far, no falling clipped in. We will keep practicing with small routes. Monday we spent the day polishing the plane. I updated he Flights Page with a few pics too. We will have news in the airplane dept to share soon! Hope you all had a relaxing Lanor Day! As for the purse! Sa-weet! 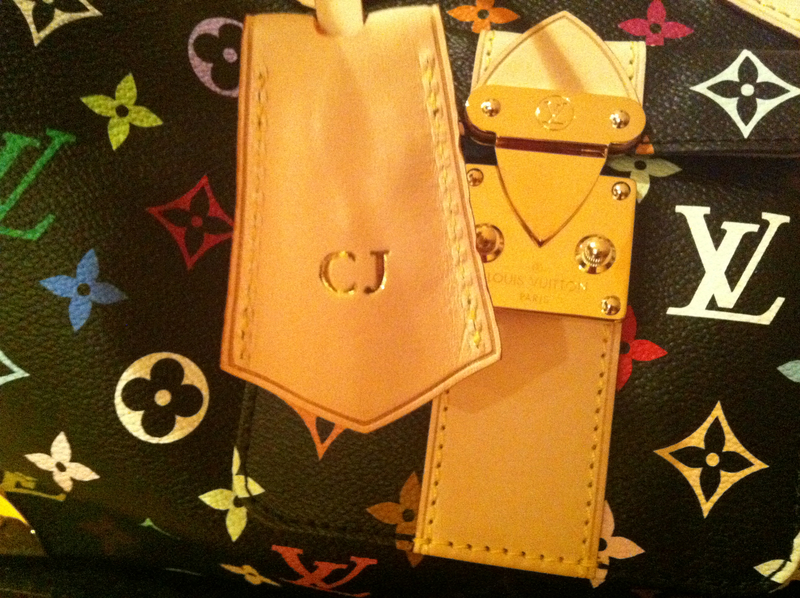 I love the personalization, what a nice added touch! I wish my husband could accompany me on runs — it gets so boring going by myself 😦 Now that I’ve been forced to add swimming to my training, I’m hoping I can at least get him in the pool with me!!!! Not that we could chit chat while swimming LOL! When are you looking to try your first triathlon? Lol I would love to see how to chat while swimming. No tris on the books yet. I have to figure out somethingnfor next year. We may look at duathlons first. I love the trail for that very reason:) Out and backs. Um I just found your blog and I think we were meant to be best friends for life. You run, bike, and love LV. We may have been separated at birth. Eeeeee!! 😀 I’m going to read your blog right now! Please keep in touch! !